With social media’s ever growing role in promoting performances, most Broadway shows now maintain their own YouTube channel highlighting auditions, cast members and sometimes even whole musical numbers through a series of videos. 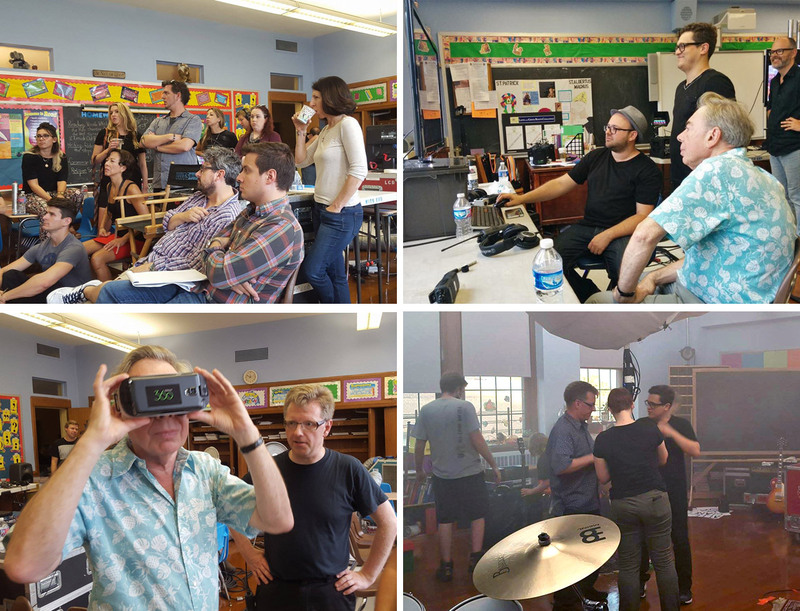 However, the creative team behind School of Rock- The Musical, had something a little bit more progressive in mind: an immersive 360º video. “I am proud that School of Rock is not just the first musical to take this leap into the future, but that this video of ‘You’re in the Band’ is the first time anyone has used the 360 degree medium in this way. It could open a lot of doors.” – Andrew Lloyd Webber, Producer, School of Rock. Koncept VR was approached by Steam Motion & Sound to provide 360º video consultation as well as expertise and equipment to film and stitch the 360º experience. ”You’re in the Band” is not only the mission statement of the show but also the song chosen for this unique experience. The viewer finds her/himself in the middle of the classroom while the main character Dewey Finn assigns instruments and roles to his fifth-graders. Koncept VR deployed custom gear to optimally ‘frame’ the cast. A system for live previews as well as rough stitches was implemented so that the director, Brett Sullivan, could provide immediate feedback to his performers as the scene was to be shot as one single long take. “It’s happening all around you, all in one go. It’s all in one take, you can’t edit it because everybody is always in a different position,” he said. “It was a great experiment.” – Lloyd Webber. Earlier this year YouTube announced the launch of 360 video ads and The School of Rock 360 video has utilized this to gain maximum exposure for their marketing initiatives. Viewers actually watched, and interacted, with the advertisement and didn’t simply click the “Skip” button. Check out the YouTube comments to the right. In the video below you will be able to get a sneak peek into the set production and learn about what went into making this project a reality. Video directed by Brett Sullivan. Producers: The Really Useful Group, Warner Music Group, Shubert Organisation, The Nederlander Organization.